Colby Aley is writing on the Svbtle network. It may seem antithetical to software development, but I believe deleting code is often much more important than people think. The ease at which it can be done is often overlooked by engineering teams, so removing code is usually flat out tough. Writing code is, however, usually pretty easy. Good code, bad code, adding it is the part that excites developers the most. It’s what we’re best at. Our job is to write code and contribute to whatever we may be working on. So doing the opposite and removing from the codebase simply feels backwards. We can group our reluctance to remove code into two categories: 1) the wrong feeling you get from doing it, and 2) the technical unknowns and worries you have to overcome. Selecting a block and hitting the backspace key feels wrong. It feels unproductive, it makes us feel like failures. We spent time writing this code, only to now be deleting it. Keep a physical journal. I’ve been a longtime user of tools like Evernote, but just a few months ago went out and purchased a physical notebook. There’s something about writing my notes on real paper, with a real pen, that I’ve found much more satisfying than typing them. I’ve also found that physically writing things down helps me remember them. Those of you who frequent meetups and conferences may be familiar with “panels” or “fireside chats”. For those who aren’t familiar, panels typically feature a group of five or so often prominent people with similar backgrounds. Panels almost always have a moderator responsible for contriving and delivering a set of questions to the panel, who then takes turns answering them. Event organizers often opt for panels for the wrong reasons, and it shows. Panels offer the greatest perceived value, but the least actual value. Panels offer the highest perceived value while requiring the least preparation from participants. What do I mean? On paper, panels sound great. “It’s like five talks by five different speakers in a fifth of the time!“. This couldn’t be further from the truth. One thing I’ve always had a hard time with is remembering people’s names. It kills me. To me, having forgotten someone’s name is far more embarrassing than them having forgotten mine. Forgetting someone’s name gives them the impression that you don’t think they’re important, something that can hurt both their ego and your relationship with them. There’s absolutely no excuse for forgetting someone’s name. All it requires is a conscious effort. Words can not describe what it feels like to come from spending your day doing meaningful work, to then having to put effort in to something that will be completely wasted and never touched by a human. For those of you who don’t know me, I’m a junior in high school. Tomorrow I have 10 one page essays due for a class of mine. Instead of doing them I decided to write about it. The teacher whose class I’m writing these for teaches 6 periods of the same class. Being conservative, we can estimate that each class has 25 kids. That’s 1,500 pages he’ll grade by a week from now when the semester ends. Now, I think it’s safe to say that he won’t be reading them. More likely he’ll have a teacher assistant check each page for length, and grade based upon completion. One of the things I really like about Svbtle, and one of the reasons I choose to write here is because of the ever so innovative kudos button. You’re now asking, “did he just use the word ‘innovative’ to describe a voting button?” You bet I did. Kudos solve a problem that bloggers have had forever. How do you measure your readers’ responses? What differentiates a successful blog post from the rest? Up until now we have relied on pageviews to tell how successful our posts are. The problem is, pageviews simply aren’t a good way to measure the success of a blog post. First of all, pageviews simply measure eyeballs. This is useless unless you have some sort of advertisements on your blog. Many people just want some sort of gauge to see how well their blog post did. I recently attended Startup School 2013 down in Cupertino California. I was staying with some family friends in the area and was taking the Caltrain to Sunnyvale from San Francisco. 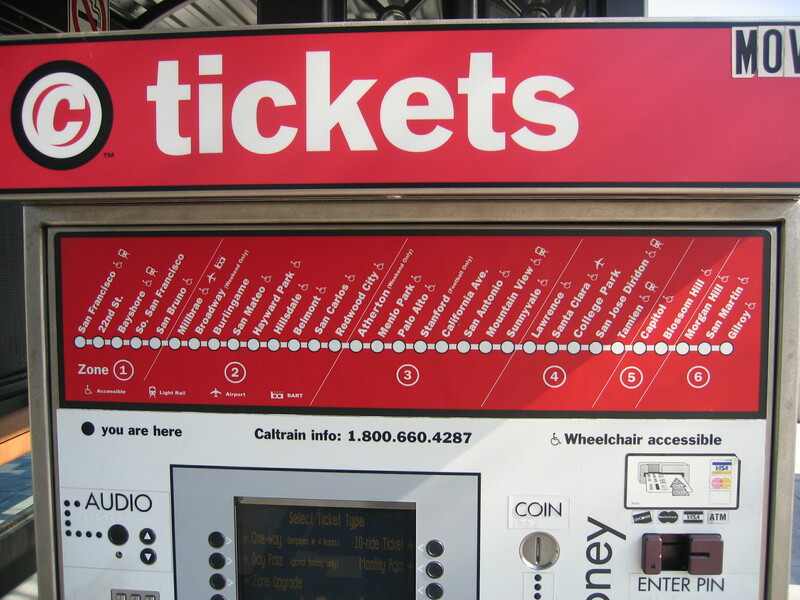 In case you’re not familiar with how Caltrain works, payments work using a zone system. The entire line is divided into zones. The more zones you plan to travel through, the more you pay. When buying your tickets, the machine asks you to select which zone you’re traveling to and charges you accordingly. On my way to Sunnyvale from San Francisco, I selected zone three since I would be traveling through three zones. A couple days later on my way back to San Francisco from Sunnyvale, I selected zone three again, since I would be traveling a total of three zones back. In my mind this made perfect sense, but I was wrong. I was supposed to have selected zone one, since my destination was in zone one. I know none of my passwords. I tweeted the other day that I no longer know any of my passwords. People seemed to think it was a joke, so I decided I’ll go into a little more depth on exactly how I’m doing it. Okay I think I’ve finally configured by internets for maximum security. I know none of my passwords. Not even my @1Password master. I’ve only recently started using 1Password, and regret not jumping on the bandwagon earlier. It’s a great tool for eliminating the need to remember passwords. Often, people use the same password for all of their services, because remembering a new password for each one is near impossible. This is terribly insecure, since if that password is ever compromised, so will be your whole online identity. Many people are confused by internships. They think interns are just underpaid employees, who’s only job is to grab coffee. That’s typically not the case. Internships are a great way to gain real world knowledge related to your interests. They allow you to gain experience that isn’t available to you in school, online, or in books. I think the best way to understand what an internship is, is to understand what an internship isn’t. Internships aren’t for money. Sure you can make money at an internship (as you should), but that’s not really the point. You shouldn’t be doing an internship because of the money. I tend to have many ideas on a rather regular basis. As such, I’ve become accustomed to what I’m calling The Idea Lifecycle — a process which assists me in managing my ideas. Have ideas? Write them down and think about them. Seriously — after having an idea, take a walk, get some fresh air and contemplate the idea. What excites you about it? How it it unique? Then put it away for a few days. After a few days have passed, if and only if it still excites you, should you move on to the next step. An overlooked part of this step is gauging personal interest. Are you passionate about making the idea a reality? Is it truly interesting to you? If you are going to spend time and resources on execution, make sure you’re fully committed.